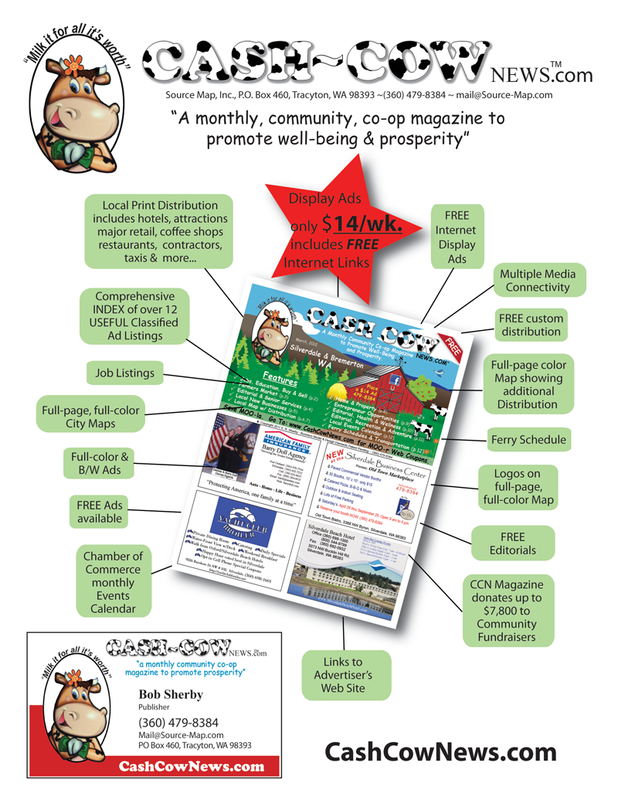 "A Monthly Community Co-o Magazine to Promote Well-Being & Prosperity"
magazine to promote wellness & prosperity. It also features useful, interesting and relevant editorial content provided for free! 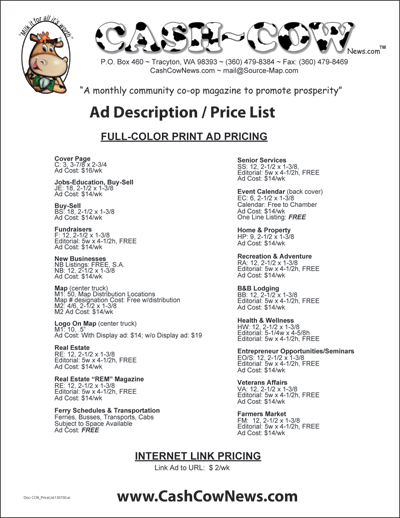 CCN is designed to give the reader a fresh new perspective focused on both personal, community and business well-being. 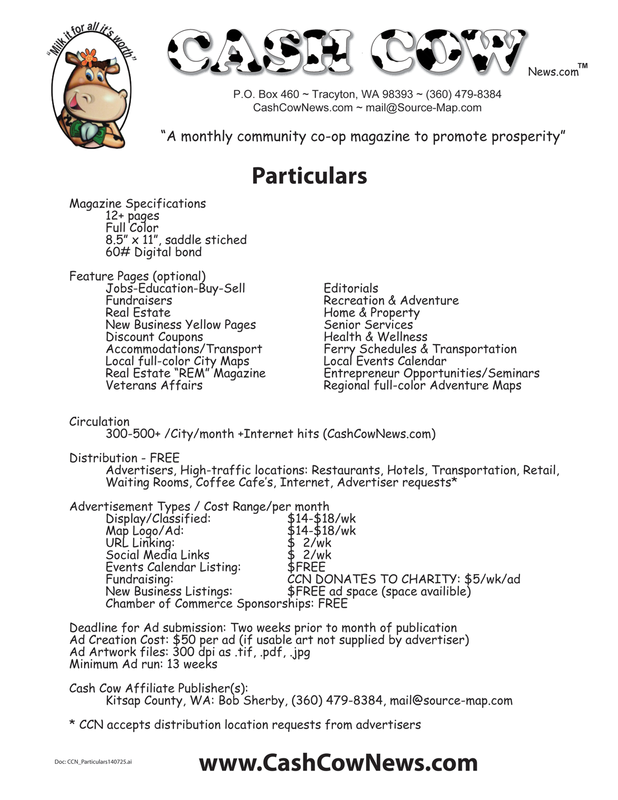 Events, Fundraisers, Transportation and much more. is robust, community-relevant and unique. The Cash Cow News is unique in many ways. Most notedly, the CCN offers participants several paths to succes: Straight Commisstioned Sales, Area Manager/Sales, or, as CCN Affiliate Publischer Licensee, making a huge commission... all with very little time and $ overhead burden. 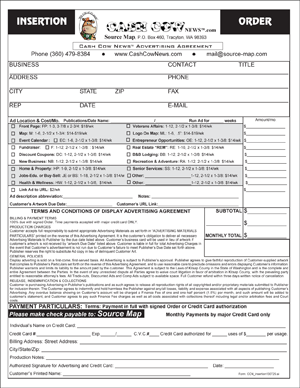 Want To Have A Cash Cow News In Your Town? ~ Top Commissions Paid!! !